Alberto Riehl:	All right, so guys this Alberto Riehl. I’m here with Jake, he’s in our Predictable Premium program. And Jake, thanks for taking a couple minutes. Alberto Riehl:	Thanks for the time. Let me ask you real quick, what’s your favorite thing about our program so far? Jake:	If I were to say it’s probably that I believe in training, I’ve done a lot of trainings, but to have somebody who’s been there, done that and has really been successful in what they do but also be very candid and as hands on as this program has been, I think it’s powerful. It connects, it bridges the gap between the vision, the ultimate goal, and where we are today. So I think it’s the only program I’ve been as deeply plugged into and it’s awesome. Alberto Riehl:	Awesome, man. Thank you, I appreciate that. And what would you say is your biggest takeaway so far about the program? 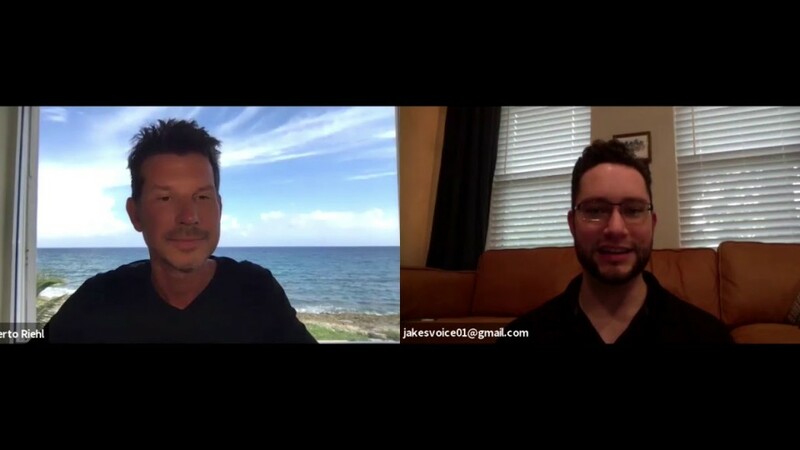 Jake:	The biggest takeaway, it’s kind of … I don’t mean to rehash, but it really is kind of just that, the action steps, the bullet point items that we have after every lesson, even just reporting back to you. Right now I’m on week number three, and that last bullet point saying, “Get the okay from me before you proceed,” again, it doesn’t just cross off a box, it doesn’t check something off a list, it’s really making sure that we’re digesting and getting everything that is really supposed to be in the program. So I think without that it wouldn’t be near as powerful in our life. Alberto Riehl:	Yeah. It’s a formula from somebody who’s done it before, and I like to, like you said, it works every time if we do it correctly. It’s not one of those for people that might think it’s something kind of easy or magical. Not at all. It definitely takes some work and some discipline. And you’re one of those guys that are flying through it and the quality of the work is great. So great job with that, man. And again, thanks for taking a few minutes with us. Alberto Riehl:	All right, buddy.